How All Of The A’s Pitchers Were Acquired: Lots Of Depth Even For 2015 Without Breaking The Bank! 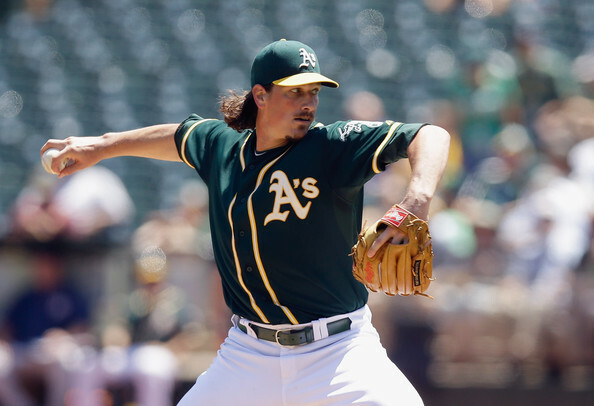 Part of the lure in acquiring Samardzija was that he had 1 year left of Arbitration. He will likely cost in the $12 – 15 MIL range for 2015. He tops the list of several A’s players that will be ARB eligible in 2015 like Moss, Donaldson, Cook, Parker, Jaso, Reddick and Gentry. While the club is going for it in 2014, their unloading of Cespdes’s $10.5 MIL 2015 salary will be used to pay these guys raises for next year, which should ensure them of another chance to compete for it all.. The Pitching Staff will remain almost intact, with losing just Lester, Hammel and Gregerson, while 12 guys are still under Team control, and 3 more guys with lots of MLB experience are in Sacramento waiting for a callup. Billy Beane has assembled quite the Pitching Staff for his 2014 final playoff push despite having both Jarrod Parker and A.J. Griffin out for the year with Tommy John Surgery. Sonny Gray, A.J. Griffin and Sean Doolittle (although he was drafted as a hitter) are the only active pitchers on their staff that are homegrown products. Jon Lester was acquired with Yoenis Cespedes (who signed as an International Free Agent. Much like the hitters, the ‘Moneyball GM’ has wheeled and dealt until he put together one of the best run prevention teams in the game baseball. Jarrod Parker is out for the year with Tommy John Surgery. You are talking about a guy that was 25 – 16 with a 3.68 ERA over the last 2 years combined. He has top of the rotation stuff and will be greatly missed. The A’s also had a TJ scare with A.J. Griffin, but it has been downgraded to an elbow strain for now. Parker was traded for by the Athletics in a major package sent to Oakland with Collin Cowgill and Ryan Cook for Starter Trevor Cahill. The club still has Parker and Cahill. While it is bad Parker is out in 2014, he will be back. Cahill has been ineffective for the D’backs in 2014 – with a 9.17 ERA and an MLB leading 4 losses. I just finished writing an article about how Billy Beane was smart not to have signed Barry Zito, Mark Mulder and Tim Hudson to extensions here. You really wont find him do this anytime soon with any of his chuckers. The Scott Kazmir deal is the one he likes to do. It is simple as to why the man operates like this. He doesn’t have to give up any assets in the process. Beane is a “Baseball Rounder”. It is not unlike him to do manage 50 – 60 transactions per year. He was won more than he has lost – whether it is Free Agency or trades. His ballclub has the best record in the Majors since the start of play in 2012 – at 200 – 144 (.581 baseball). The Billy Beane Way Of Contracts + His Trade History Since MoneyBall! Updated July 31, 2014 for Trade Deadline deals. Beane does his transactions throughout the entire year – and very little at the deadline. He is never finished with re-arranging his franchise. Perhaps his best Trade Deadline deal was to acquire Jermaine Dye in 2001. Conversely, he had to pay Dye a big FA contract afterwards (3 YRs/$30 MIL). Between he and Eric Chavez’s deal, (6 YR/$66 MIL deal) Beane learned not to be burned on long term contracts. He is a big fan of 1 – 2 Year Deals with Veterans. A lot of his players have not fared as well when they have left the organization. Even the guys that have, simply cost too much money for the A’s liking. The Oakland team received the same kind of production from them for a small percentage of the salary paid out. 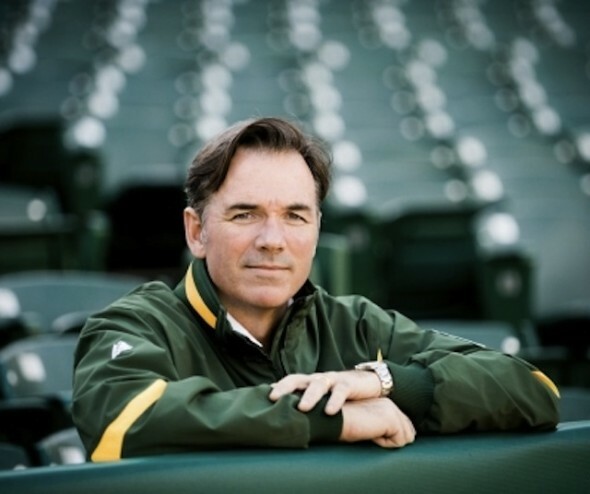 We have talked a ton about Billy Beane‘s genius way on the website. The Website founder ‘Jonathan Hacohen’ was one of the first baseball writers to uncover the new Beane strategy last year. I further studied some of his brilliant work – by figuring out the current roster tree for all of the current team last November. I was able to pick up a lot more patterns from his work as a GM. 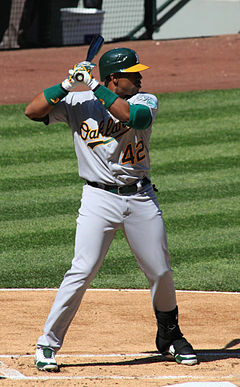 How important was Cespedes to The A’s Lineup? They went 82-47 with him in the lineup and 12-21 without him. So far in 2013, the team has gone 10 – 2 with the big Cuban and 4 – 8 without him. Clearly he is the teams MVP. 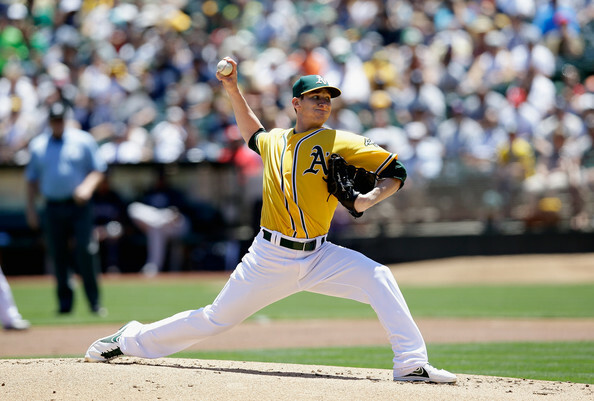 MLB Hard Talk 101 – Can The A’s Do It Again?